Gary Klebs was born and raised in Wisconsin, but has called Alaska his home for over four decades. Gary started working in the construction industry in 1970, in the sheet metal trade apprenticeship program. He worked his way through his apprenticeship and obtained his journey worker’s license. Upon becoming a Foreman, and later a Shop Superintendent, Gary moved to Alaska and was quickly hired into estimating and then into a General Manager position at a local Anchorage mechanical business in 1981. When the economy crashed, Gary started KLEBS Mechanical as a small sheet metal installation and metal fabrication business in 1986. He served as President and CEO of KLEBS, leading them forward for 30 years, developing it into the multi-faceted plumbing, pipe fitting, heating, air conditioning, and sheet metal fabrication company that we are today. Gary built KLEBS into a family oriented business that reflected the values of candor, teamwork, ingenuity and integrity that he himself learned while performing the work from his garage startup company. Under Gary's leadership, KLEBS has given back to the community in many ways through donations to local charities and religious organizations and supporting the community actively through sponsorship of various local sports teams – including the now defunct Alaska Aces professional hockey organization. Gary's knowledge, education, and involvement in the construction industry are very rooted. He was one of the founding members of the Associated Builders & Contractors of Alaska Chapter. He is a past Chairman of the Board of Directors for ABC of Alaska Chapter. He is a past board member of the Municipality of Anchorage Building Board of Appeals. 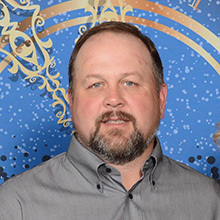 Gary is currently serving on the Associated General Contractors of Alaska Chapter Board of Directors, and was recently positioned on the Executive Board. Gary's favorite pastimes include fishing, hunting, time at the cabin with his family, and building weasel track vehicles in his personal shop. 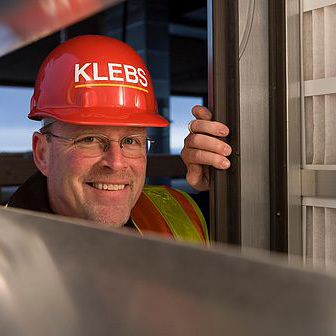 Mike Klebs has been working in the mechanical construction industry since 1990. 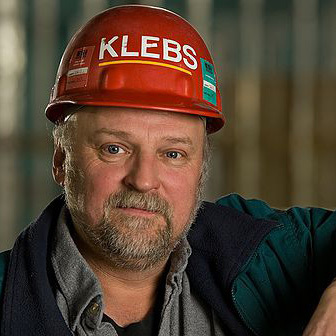 An active participant in the construction industry, Mike utilizes his over 27 years of construction and mechanical industry experience to further KLEBS Mechanical’s vision of putting “people first," by using integrity, commitment and enthusiasm to build up employees, the community and the industry. Mike has well-rounded business experience and has held positions ranging from Board Chairman, Chief Financial Officer, Vice President, Preconstruction Manager, Division Manager, Construction Manager, and Senior Estimator. In 2007, Mike was voted as one of “Alaska’s Top 40 Under 40” Professionals by the Anchorage Chamber of Commerce. Mike has volunteered time and talent on non-profit boards, chaired committees, organized and operated a children’s camp, and worked on non-profit private school construction renovation projects as the owner’s representative. Heath has worked full time in the construction industry since 1992, following an active duty tour with the U.S. Navy. His experience is broad ranging, including large civil works projects, marine structures, vertical and specialty projects, oilfield, power generation and telecommunications. Heath has held positions in the industry including President, Vice President, Division Manager, Senior Project Manager, Construction Manager, and Senior Estimator. He is certified by the Project Management Institute as a Professional Project Manager, recognized the world over as the gold standard in project management. Heath is very much involved in community outreach, serving as either a director or officer on four non-profit boards serving the State. Mary Klebs came to Alaska from Northern Minnesota where she fueled her passion for cross country skiing and learned to enjoy summer boat rides and fishing trips. 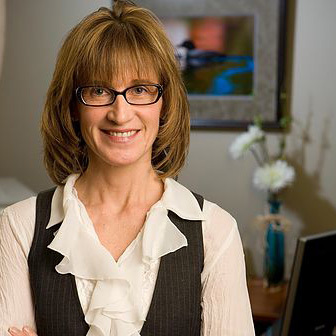 After graduating from college, she moved to Alaska and began her career in accounting. As Chief Financial Officer for KLEBS Mechanical, Mary provides financial reporting and consulting support to the CEO and COO. She assists with prioritizing financial goals, is involved in strategic planning, works on tactical matters as they relate to budget management, prepares cost benefit analysis, and assists with financial forecasting needs. Mary is also the owner of The Tax Associates, a local accounting service company. Tom Even joined KLEBS over 22 years ago after retiring from the military. His HVAC technical expertise and leadership skills have led to countless successful projects, and has generated many return client relationships. 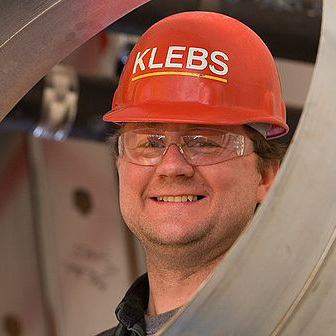 His dedication and loyalty to KLEBS not only prove his exceptional character, but also demonstrates KLEBS commitment to developing and retaining quality personnel for long term employment. Tom has lived in Alaska for over 26 years and is extremely knowledgeable of Alaskan construction challenges, techniques, and conditions. 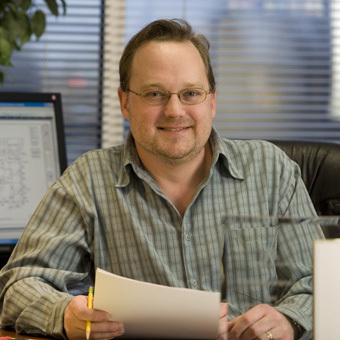 In a proactive approach to project estimating and management, Tom identifies critical path milestones, potential mechanical design issues, and long lead equipment items, then collaborates with a project’s design and construction team to develop and execute a plan to meet the overall budget and schedule. This begins during the preconstruction phase of the project – developing cost estimates, value engineering, and constructability input. Through KLEBS, Tom is an asset to have on your construction project. Derek joined KLEBS in 2015 after developing an interest in the plumbing and heating industry. 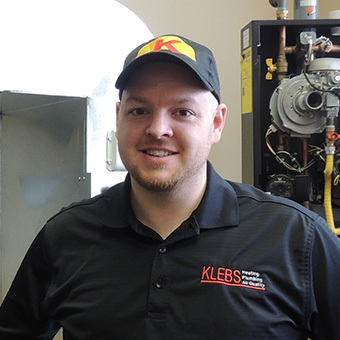 Derek excels in knowing the full gamut of HVAC residential products and, since joining KLEBS, he has completed many hours of continuing education in heating, plumbing, ventilation system products and installations. Derek is also currently working towards his certification as a Project Management Professional. As a residential sales estimator, Derek works with homeowners across Alaska to tackle every project ranging from leaky faucets to complete home systems and everything in between. He believes in improving the lives of Alaskans by providing knowledgable solutions to maximize comfort, efficiency, and indoor air quality. In his free time, Derek enjoys spending time with family adventuring in the Alaska wilderness. He also loves spending time improving his creative musical abilities on the piano, drums, guitar and bass. It’s these same creative abilities that feeds his ability to offer HVAC solutions to our many customers across this great state. 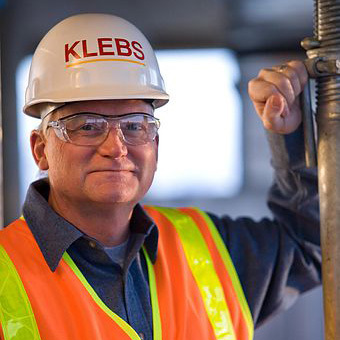 Randy Switzer began working for KLEBS over 10 years ago. He previously owned his own successful plumbing business for many years prior to joining the KLEBS Mechanical team. Randy handles all plumbing superintendent duties on commercial projects – overseeing the onsite schedule, crews, and technical challenges on various mechanical projects from start to finish. Some recent projects completed under his supervision include JBER Buckner Fitness Facility Addition, JBER Barracks, Denali Riverview at the Bluffs Resort Expansion, LaQuinta Hotel Renovation, Tikahtnu Sams Club, Texas Roadhouse and ASD Schools boiler replacements and remodels in Alaska. Impressively, many of these projects had concurrent schedules. When KLEBS is performing work on your projects, you can always rely on Randy to plan the work and solve constructability issues with your team’s best interests in mind. Randy motivates and mentors his crews, demands performance on his projects, and is known for quality integrity and honesty. Shannon Massey began working for KLEBS in the year 2000. He served in the United States Air Force as a Journeyman Staff Sergeant during the years 1992 to 2000. Shannon is the Sheetmetal HVAC Superintendent for commercial construction projects handling all sheet metal crew scheduling, installation, planning, and fabrication oversight. Using a proactive approach to managing field installations, he has been instrumental to KLEBS success on many projects and has outstanding reviews from sheet metal trainees to foremen, from contractor superintendents to building owners. His professionalism and dedication to a job well done is evident in his every day communication and workmanship. You can expect preconstruction planning and prefabrication on all projects Shannon is involved with. If issues arise, he will work with the contractor and engineer on a solution to minimize delays and keep the project on budget. If Shannon is involved in the sheet metal scope on your project, rest assured his crew will perform a quality and well planned out project for you and your client.